In New York City, a sea of skyscrapers and towering buildings, it’s sometimes tough to stand out in the crowd. The Hearst Corporation with their visually stunning and environmentally exceptional Hearst Tower has achieved just that while using steel to put it’s best environmental footprint forward. Open since 2006, the tower utilizes a unique approach by preserving its original six story base from 1928. The additional 40 stories were built in an uncommon triangular framing pattern known as a diagrid and used 9,500 metric tons of structural, recycled steel. 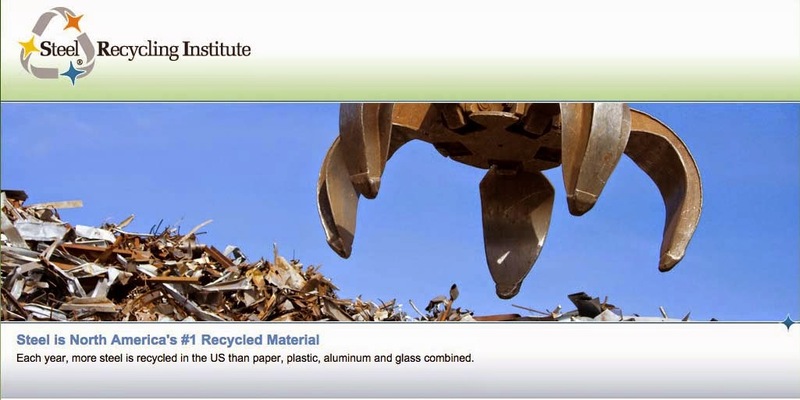 Steel always has a minimum of 25 percent recycled content and is fully recyclable again at the end of its long product life. As a result, the use of recycled steel as its frame helped the tower achieve New York City’s first ever Gold LEED-certified skyscraper. 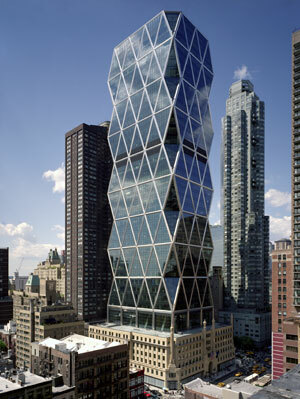 Hearst Tower was also awarded the Emporis Skyscraper Award as the Best Skyscraper completed in the world in 2006. The Hearst Tower was the first skyscraper to break ground post 9/11 and is now home to some the media conglomerate’s numerous publications including Cosmopolitan, Esquire, and Good Housekeeping. Update: The Hearst Tower has since been upgraded to Platinum status.